The growing need and demand for mobile applications have led the companies to develop android application development. More and more mobile apps are being developed that help in making our task simple and easy. Imagine the mobile app has made it possible to calculate your monthly budget, even there are mobile apps that calculate the number of steps you walk in the day. Most of the mobile app being created every day are concerned and are professionally-built in business apps. Here you will learn the process of Android Application Development Process. In short, the Android app development process is the sum-mean of all the stages that involve designing, creating. developing and post-deployment of the app. The expert android app developers use their great ideas and knowledge to create performance-oriented android applications. Ideation: Before getting into the development of the mobile app find the answer to whether the app will meet the objective and will solve the current problem. If you get the positive answers to these questions then you are half of the way towards your journey. Also, do not forget to analyze the audience to whom you want to target. Generally, most of the mobile apps are being created for the Android platform. Thus it is essential to immerse deeply into creating and understanding the Android platform and to plan a strategy to build an app. Android App Strategy: This is the stage that involves a lot of competition. Here it is essential to create a strategic plan, to prepare a blueprint of your idea and then analyze the competition that your app is facing. Do consider the number of downloads, positive and negative reviews. This will help you in improving the lacking area and in enhancing your mobile apps. You can make it more imperative and seamless by partnering with the best android app development company. The skilled developers in the company will analyze the strengths, weaknesses, opportunities, and threats for your app and work to make it more perfect. Android App Wireframing: A wireframe is a blueprint of the app. It involves UX of the app but also includes other features and tools too that help in structuring and integration of social media, ERP/CRM software into the app, specifications, and feasibility of the app. Android App Design: The first thing that describes your mobile app and influences the user is its front-end. It helps the Android interface design team to work on. The team will check and cross-check all the specification of the app based on wireframing. 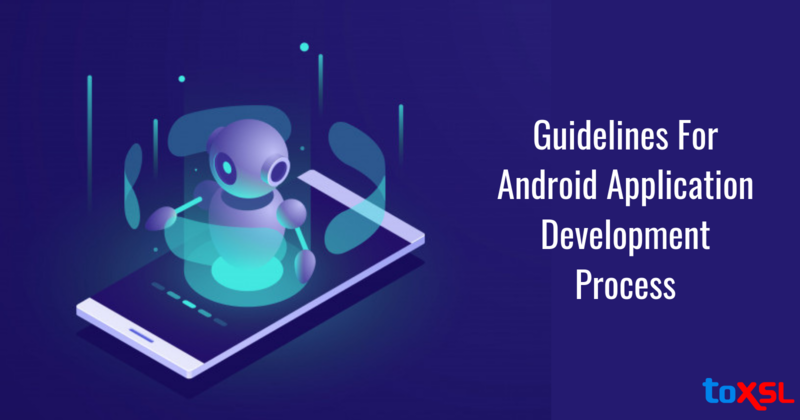 Android App Development: At this stage of android application development process the developers do focus on the features like navigation, SQLite, use of intent, list view, navigation and collating all data silos to perform as one unit. Android App Testing: This is the crucial step that includes the regular checks of the working of the app. The QA team completely check the app development process at every step and ensure zero chances of bugging in the software. Deployment and Market Submission: Once the approval for using the app is received it is submitted to the Google Play Store for further approval. The approval step involves the step of creating an account with Google and following the steps as per the Google guidelines. Android App Post Deployment: The creation of android app finishes 90% of the total task, rest involves the process of post-deployment that include task like software upgrades. Choosing the mobile app development company will take care of the basic and complex issues related to your mobile app and help you in building the featured mobile app. So whether you are running a small or big size company get your app to meet your expected business goals. To know more, get in touch with us and explore the great app ideas with our team.